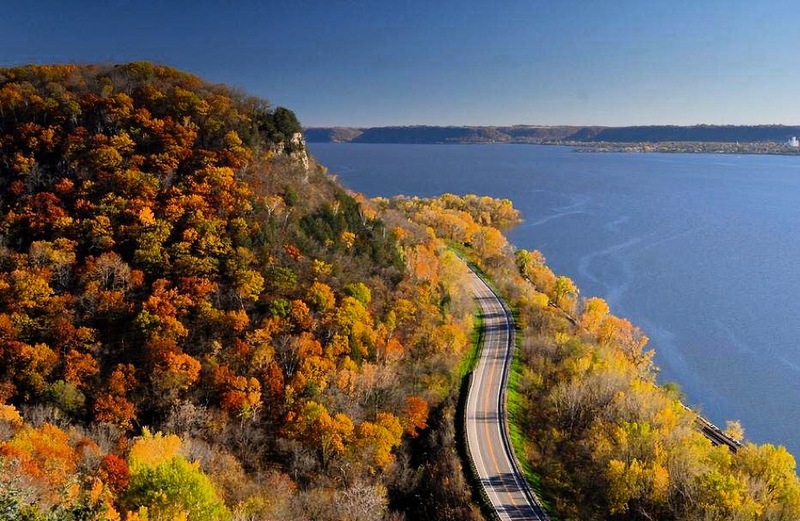 Simply put, the southern part of the Mississippi River in Wisconsin is breathtakingly gorgeous. Thread through charming small towns – like Genoa, Ferryville and Potosi – and take in the spectacular views of towering bluffs on one side and the majesty of the Mighty Mississippi on the other. Perhaps one of Wisconsin’s most underrated regions, the southwestern corner of the state offers umpteen opportunities to have some fun along the river. In Vernon County, stop by the Genoa National Fish Hatchery and then try your fishin’ luck at the nearby Clements Fishing Barge. Heading south to Crawford County, take a trip on the Celebration Belle and enjoy the sights and sounds at Sugar Creek Bluff State Natural Area. Brush up on your history when you tour the stunning Villa Louis on St. Feriole Island or round up the fam to attend Railroad Days at Stonefield Historic Site in Cassville. Satisfy your appetite with a cold brew at Potosi Brewing Company and meander through the wonderful farmers markets in places like Viroqua and Ferryville. Producer Maria Petrella and co-host Mariah Haberman film the close of the show overlooking Crawford County. Cassville's Stonefield Historic Site is located in Grant County.